The Casumo Casino offers several games to play aside from slots. You can play a few card games or try your luck at the Gold Lab. You can try the games for free before paying any money to bet on the games. There are several jackpot games that you can play that include Reel Rush and Lucky Lady’s Charm. If you ever want to know how large the jackpot is, all you have to do is visit the home page of the website to see the details. You can also receive notifications about new games and the jackpot amount. Notifications of when someone wins the jackpot can also be delivered. There is a list on the side of the home screen that details the names of who has won games and jackpots as well as who has used bonuses in recent games. 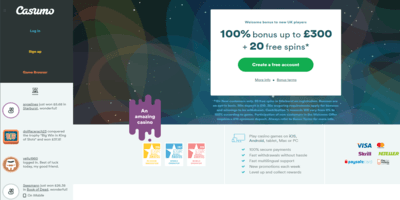 A welcome bonus is given when you sign up to play the games. 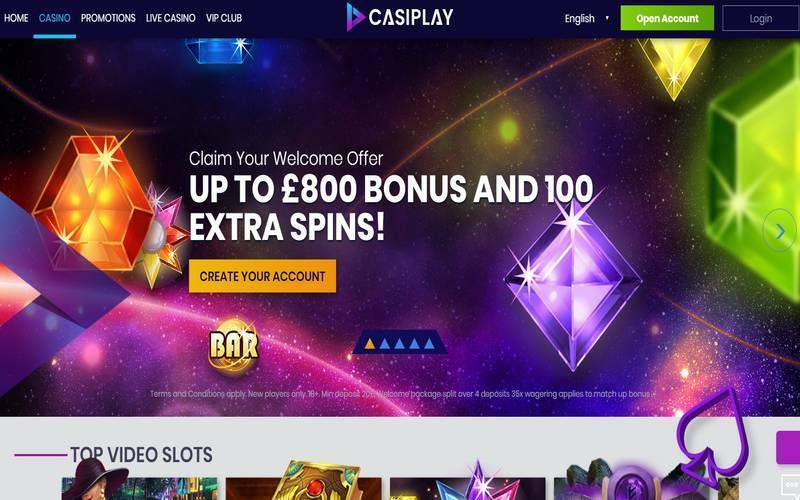 The bonus gives you up to 200 free spins as well as bonus cash that can be used to play the games. This is for new customers only instead of those who have registered for an account and want to play again in the future. Hundreds of prizes are awarded each day through reel races. These are races that change each day. They last for 30 minutes and are considered tournaments. The reel races allow you to collect more money and more prizes if you win. There are also mega wins and wins in a row that you can build up before time runs out. Large jackpots are awarded each evening, which is often the best time to play any of the games on the casino site. There are more people to talk to in the evenings and more people playing, which increases the jackpot amount so that you have a better chance of winning more money if you do hit the jackpot. A mobile casino allows you to play games on your phone or another mobile device at any time. There is also a live casino feature with sounds and decorative details that give you the feeling of being in a casino atmosphere. You can see the other players and what they are doing in the casino and chat with them during the games or while you’re waiting on a game to start. Most payment options are accepted except for PayPal.